How Many Beauty Bears Does it Take to Make a Porridge Mask? Answer: Four. Three to make it just right, and one to maul Goldilocks. Or only two - one to make a little black pot by LUSH cosmetics, and one to maul The Beetique. "Soothing banana mask for dry skin: Few things are more soothing than a big bowl of banana porridge, all sweet and squishy. Did you know the same is true for your skin? Sensitive, dry or irritated faces love Oatifix for its calming oats, softening mashed banana and ground almonds to slough away flaky skin. Keep in mind that dry skin doesn’t just occur in the winter! The sun can be equally harsh, as UV rays penetrate the dermis and heat can leave you feeling tight and dry. Use Oatifix year-round on sensitive, dry skin in need of nourishment to keep it flexible and soft", via LushUSA.com. True life: I tested out LUSH's Oatifix Fresh Face Mask back in July. Since oats are known for their soothing + moisturizing properties, I found this mask to be a little too heavy for sunkissed skin - although smothering a cold mask on my face DID feel amaze. Oatifix smells good enough to eat, like freshly baked cookie dough or oatmeal cookies. I share this little hidden gem now, as we approach mid-December, because I truly believe Oatifix will work wonders on easing winter skin. After all, the colder months are when our face & body become dry and need a lil’ extra TLC. And, yes, even in the global warming we're experiencing! 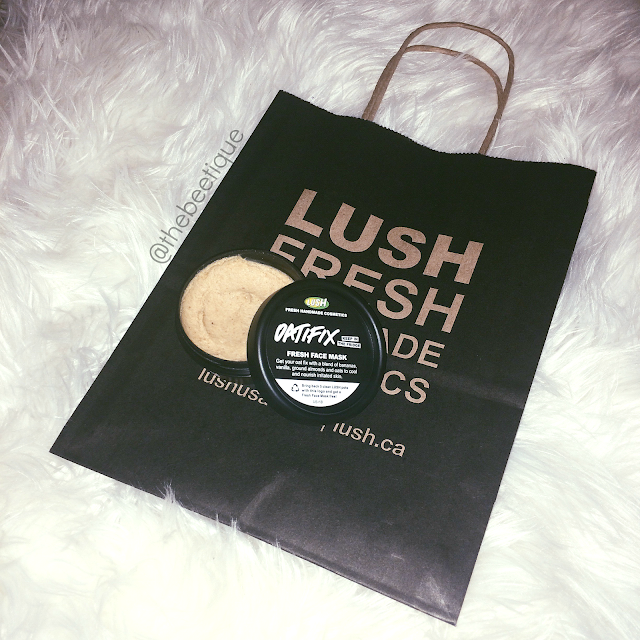 All LUSH Cosmetics Fresh Face Masks are sold in stores and cannot be bought online. THAT fresh. I promise making the trip to the nearest Lush near you will be worth it. See for yourself here! 3 comments on "How Many Beauty Bears Does it Take to Make a Porridge Mask?" how long does this mask last in the fridge? It looks very pretty- just curious, if you’ve time, could you please review some other products of this brand? I wonder how its other masks would work on the skin.